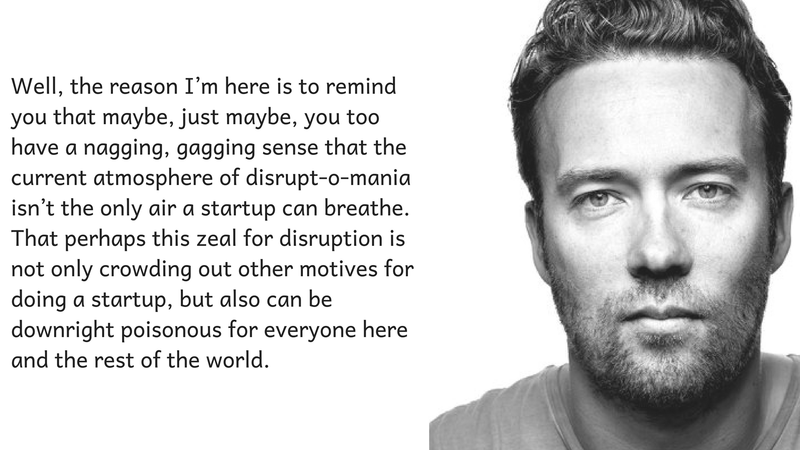 We at DreamToIPO love DHH (David Heinemeier Hansson), a programmer, author and very good friend of another legend Jason Fried. When we heard about DHH, we thought what a rad name! He must be a cool guy. DHH did not frustrate us. He was cool. He is straightforward who doesn’t fear to address the elephant in the room. Something like the above quote from one of his legendary articles on startup called “Reconsider”. But when we run our fingers on his greatest innovation, Ruby on Rails, we understand he is the coolest guy of this planet. Ruby on Rails is the perfect framework for the developers. But this is not what has made Ruby on Rails successful. The reason is, since its’ arrival, it has been the go to tool to build web application for some of the biggest startups of recent time. Why startups love Ruby on Rails? Reasons are plenty and most of them will sound jargon if you are not so techie. To understand the contribution, consider Ruby on Rails is one such foundation which helps anyone to turn their business ideas into applications and saleable products in real quick time. Of course if expert Ruby on Rails developers are with you. Perks of Ruby on Rails don’t stop there as any application built with Ruby on Rails is easy to scale up later, keeping up pace with business need or unpredictable nature of startups. Trust us, these are just the tip of icebergs of Ruby on Rails benefits. If you want to explore more, read our blog: 5 Supreme Advantages of Ruby on Rails Development . Who has made most out of Ruby on Rails? Who has not? Amazon to Apple to Walmart. The business juggernauts have taken help of Ruby on Rails to build their empire. DHH’s gift has helped them to build a strong web application to streamline and escalate their operation. But today, we will keep focus only on 5 startups who could not make it big without Ruby on Rails. Ruby on Rails and Basecamp is a beautiful love story. DHH invented and developed the framework while working on a web application, later released as Basecamp. Ruby on Rails was born here! If you run in tech circles, you’ve surely heard of Ruby on Rails. Over the past decade, Rails has become one of the world’s most popular programming frameworks. Sites like Twitter, and GitHub, and Shopify, and hundreds of thousands more all run on Rails. The first Rails app, however, was our very own Basecamp. Rails was invented in 2003 by David Heinemeier Hansson, a partner here at Basecamp. Today Rails is as vibrant as ever, and still at the heart of Basecamp. Many of Rails modern innovations start as experiments inside Basecamp. Today, Basecamp has roaring success as a project management tool used by 2,838,046 people. The huge success of Basecamp definitely owes to the stability and flexibility provided by Ruby on Rails. Last decade has been the rise of E-commerce. And most of them build their online stores on Shopify. Shopify is a complex web application. One can build their e-commerce store here and avail scores of customisations too. And guess what? Shopify framework has been developed on Ruby on Rails. They needed a strong foundation to offer all the features and Ruby on Rails is just a perfect fit for them. Shopify has tough competition from WooCommerce, Magento, Bigcommerce and others and they are doing fine. Shopify now powers over 500,000 businesses. Needless to say, they need a stable backend to support their large user-base. They also require a flexible platform to continuously add useful features to be the automatic choice of their target audience. Ruby on Rails proves to be a great resource for them. Now when we heard that Shopify is looking to integrate VR into their application, we sit straight and admire Ruby on Rails once again for providing the stable base at the core for all such futuristic innovations. Before anything, congratulations to Github!!! Their recent deal with Microsoft is definitely one of the best startup stories ever. It’s a wonderful journey for them starting as a hub for the developers to be the symbol of open source community, Github stands as a glorified and celebrated startup. Ruby on Rails has played a huge role here. Their code repository is built on Ruby on Rails. Their growth and recent success story has just proved the excellence of Ruby on Rails once again. Airbnb continues to surprise and inspire everyone with their massive growth. Ruby on Rails has been the silent contributor of Airbnb’s continuous growth. A well-written Rails App is very flexible, and facilitates rapid development to make room for new functionalities. Just what Airbnb needed for their ever-growing business. Hardly there have been any startups as revolutionary as Twitter. The 140 characters (now 280) have changed our behavior of consuming and sharing content online. The journey of Twitter started with Ruby on Rails framework. They had quick growth and now rank among one of the most used applications. Ruby on Rails has always been there at the backend of Twitter to support them in their growth and continuous feature upgradation. At the beginning, Twitter was built with the help of Ruby, RoR, and jQuery along with Webpack JS. The robust and flexible framework of Ruby helped Twitter to build and launch their product in a short period of time. After few years, Twitter revamped their digital presence and operation with Scala though Ruby on Rails is still there as an instrumental part of the backend. If you think through all the assistance that Ruby on Rails has provided to all these startups, you will understand the power and diversity of this framework. Twitter is a microblogging platform, Airbnb is a marketplace, Basecamp is a project management tool, Shopify is an e-commerce builder- they are all different from each other in terms of operation and offerings. When we started working with Ruby on Rails, we had the chance to work with many startups. We helped them with all our might to turn their ideas into products, from diet management application to healthcare application. We can’t vouch for Twitter or Airbnb but, we don’t want to miss the chance of thanking our rockstar DHH. Thanks a lot for giving us a wonderful framework to help business of all sizes and some of the most amazing startups. Thanks again for keeping eye on the framework and updating it to make the framework stable and workable. Thank you DHH aka David Heinemeier Hansson. Do you want to explore more about the Ruby on Rails and how it can help the startups? Read our another Ruby on Rails blog here- What startups can you build with Ruby on Rails?